Wideline Triton with our LYTA style "Sprint" tank with clipon indents, and our bespoke all alloy seat and wideline oiltank. 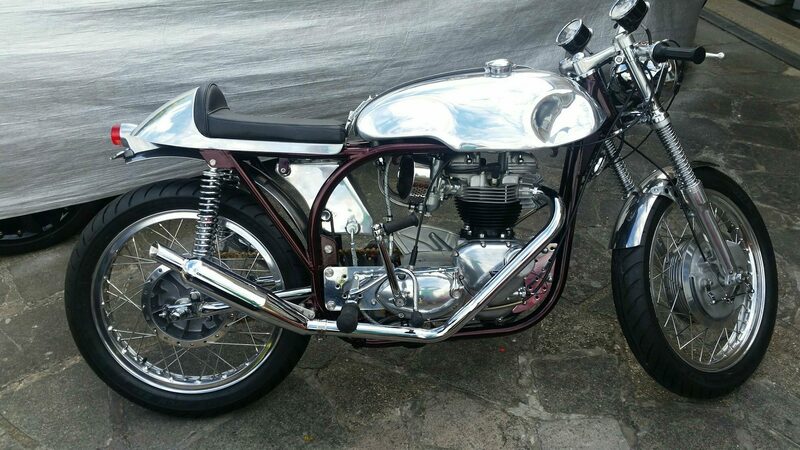 Customers bike pics seem to coming in thick and fast at the moment which is great…keep them coming please guys. We have just received these pics of a very nice Wideline Triton. Nice work Daryl. This bike has our LYTA style “Sprint” tank with clipon indents, its also our bespoke all alloy seat and our wideline oiltank. Looks like someones going to be busy with the Autosol.